We appreciate your interest in our inventory, and apologize we do not have model details displaying on the website at this time. Please fill the form out below and our team will quickly respond, or, please call us at (844) 336-0190 for more information. Interested in driving the Jaguar XJ around Englewood, but the new Jaguar XJ doesn’t fit in your budget? At Jaguar Paramus, Saddle River drivers will find the used Jaguar XJ for sale at competitive prices, from several model years and in a variety of colors – specifically black. Plus, used Jaguar XJ models from more recent model years will boast many of the same sophisticated and luxurious interior features of the 2019 model. Browse your options before contacting the dealership for more information! 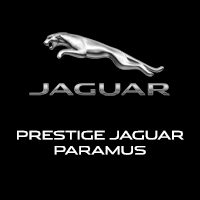 Pick out your favorite used Jaguar XJ for sale at Jaguar Paramus!